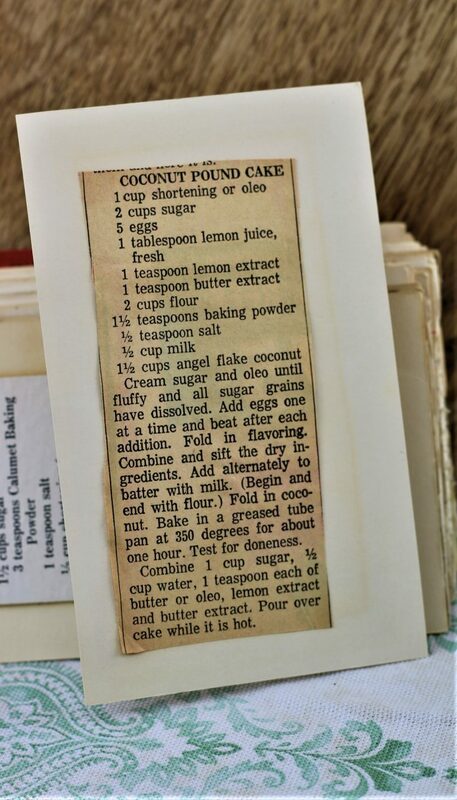 Front of the recipe card for Coconut Pound Cake. There are lots of fun recipes to read in the box this recipe for Coconut Pound Cake was with. Use the links below to view other recipes similar to this Coconut Pound Cake recipe. 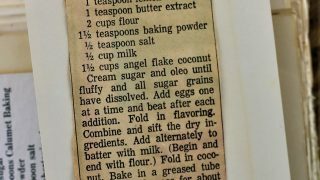 If you make this Coconut Pound Cake recipe, please share your photos and comments below! Add all dry ingredients at once and add to the creamed mixture alternately with the milk. Add flavoring and stir in coconut. Bake in greased and floured tube pan for 1-hour and 15 minutes at 350 degrees. 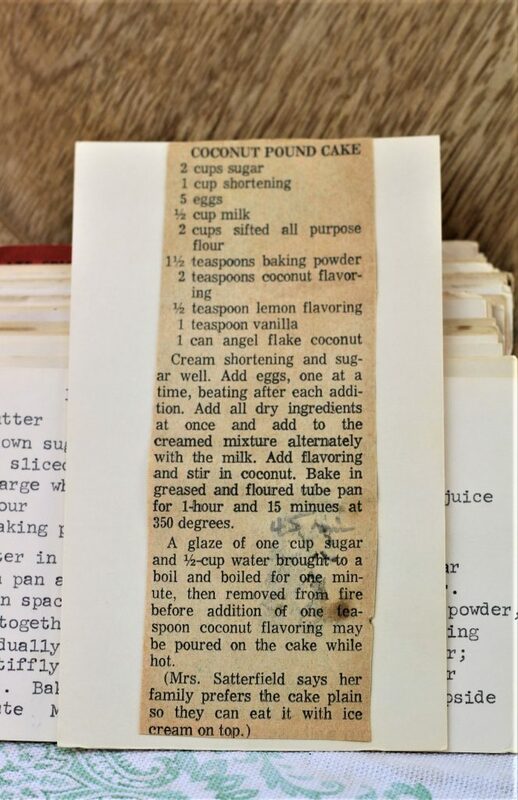 A glaze of one cup sugar and ½-cup water brought to a boil and boiled for one minute, then removed from fire before addition of one teaspoon coconut flavoring may be poured on the cake while hot.